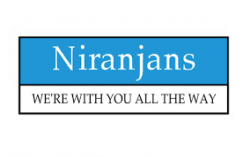 Niranjans Automotive Group operates branches throughout the Fiji Islands: Viti Levu and Vanua Levu. Our facilities include: motor vehicle sales, spare parts distribution, service workshops, paint shops, panel shops, customs bonded warehouse and exports. We are the distributors of Hino, Suzuki and Mazda. Self-motivated, punctual and able to work under minimum supervision. Day to day accounts related documentation preparation and filing. Effective communications, management and administrative skills. Application and CV are to be addressed to the Managing Director. Written application to be forwarded, No later than 27th April. Japanese cars to the country & have been diversifying our business ever since in to many segments providing total solution for transportation.